Aam Aadmi Party chief Arvind Kejriwal on Saturday appealed to the residents of Delhi to come out and vote in the ongoing assembly elections in the national capital. Kejriwal took to twitter for making his appeal. "Everyone should go to cast their vote, after taking a bath and remembering god. 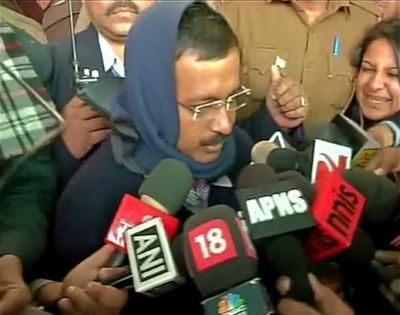 You will definitely win," Kejriwal tweeted. "As Delhi votes today, urging voters to go out & vote in large numbers. I particularly call upon my young friends to vote in record numbers," he tweeted. Congress leader Ajay Maken appealed to the voters of Delhi to vote judiciously. Earlier in the day, polling for the 70-member Delhi assembly began at 8 am amid tight security. According to the office of the Chief Electoral Officer of Delhi, all arrangements are in place to ensure free and fair polling. About 55,000 police personnel have been deployed to ensure hassle free voting. The police will also undertake patrolling in different parts of the capital to prevent the distribution of liquor, money or any other allurements. Voters have been granted a paid holiday today to cast their votes.